The discovery of a new animal species is celebrated the world over. At the same time, plants are lucky to ever make headlines. This is a shame considering that plants form the backbone of all terrestrial ecosystems. The conversation is starting to change, however, as more and more people are waking up to the fact that plants are fascinating organisms in their own right. In a recent addition of Kew Garden's State of the World's Plants, they report on 1,730 newly described plant species from all over the world. The discovery of these new plants species is truly a global event. Central and South America, Africa, tropical Asia, and Madagascar saw the addition of many intriguing taxonomic novelties. 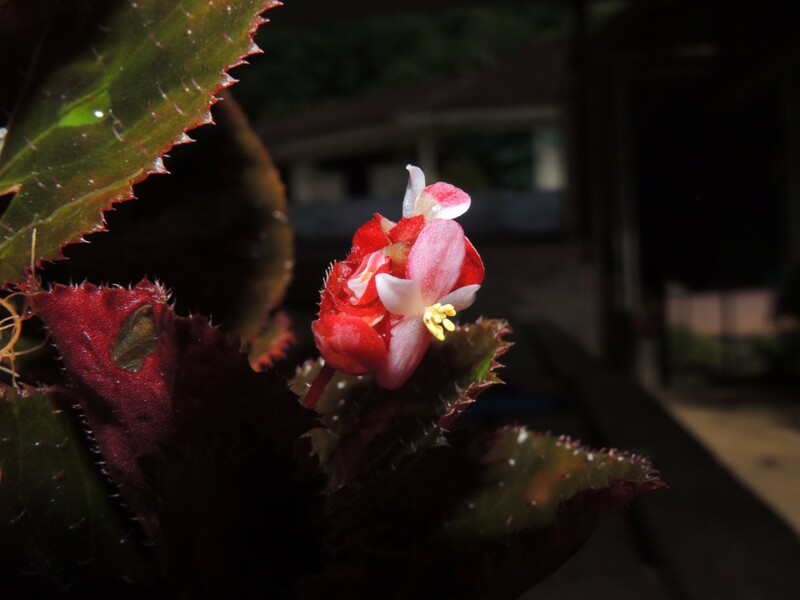 For instance, Malaysia can now add 29 new species of Begonia to their flora. Africa can now boast to be the home of the largest species of Bougainvillea in the world. Standing at 3 meters in height, it is an impressive sight to behold. Madagascar was particularly fruitful (pun intended), adding 150 new species, subspecies, and varieties of Croton all thanks to the diligent work of the late Alan Radcliffe-Smith. One of the most exciting finds from Madagascar was a new genus of climbing bamboos named Sokinochloa. So far only 7 species have been named. The key to unlocking the diversity of this new genus lies in their flowers, which are not produced on a regular basis. Like many bamboos, the Sokinochloa produce flowers at intervals of 10 to 50+ years. The new discoveries did not consist entirely of small understory herbs either. Some of those 1,730 plants were massive forest trees. One of these new tree species is Africa's first endemic species of Calophyllum (Calophyllaceae). They were discovered during a survey for a uranium mine and, with fewer than 10 mature individuals, are considered critically endangered. Expeditions in Central America and the Andes turned up 27 new tree species in the genus Sloanea (Elaeocarpaceae) as well as 10 new species Trichilia, a genus of trees belonging to the mahogany family (Meliaceae). The list could go on and on. Even more exiting is the fact that 2016 wasn't a particularly exceptional year for new plant discoveries. An estimated 2,000 new plant species are discovered on an annual basis. We aren't even close to grasping the full extent of plant diversity on this planet. What plants desperately need, however, is more attention. More attention leads to more scrutiny, more scrutiny leads to better understanding, and better understanding leads to improved conservation efforts. We could be doing a lot better with conservation efforts if we considered the plants whose very existence is essential for all life as we know it. All photos thanks to the Royal Botanical Gardens at Kew unless otherwise noted. If healthy ecosystems are what we desire, we must embrace predators. There is no way around it. Because of their meat-based diets, predators can have serious effects on plant diversity. Generally speaking, as plant diversity increases, so does the biodiversity of that region. It's not just large predators like wolves and bears either. Even predators as small as spiders can have considerable impacts on not only plant diversity, but ecosystem processes as well. Before we get to that, however, we should take a moment to review some of the background on this subject. The way in which predators mediate plant diversity falls under a realm of an ecological science called top-down ecosystem controls. In a top-down system, predators mediate the populations of herbivores, which takes pressure off of the plant community. It makes a lot of sense as a numbers game. The fewer herbivores there are, the better the plants perform overall. However, ecology is never that simple. More and more we are realizing that top-down controls have less to do with fewer herbivores than they do with herbivore behavior. Herbivores, like any organism on this planet, respond to changes in their environment. When predators are present, herbivores often become more cautious and change up their behavior as a result. Such is the case of grasshoppers living in fields. Grasshoppers are incredibly numerous and can do considerable amounts of damage to plant communities as they feed. Picture swarms of locusts and you kind of get the idea. Given the choice, grasshoppers will preferentially feed on some plants more than others. Such was the case when researchers began observing grasshopper behavior in some old fields in Connecticut. The grasshoppers in this study really seemed to prefer grasses to all other plants. That is unless spiders were present. In this particular system lives a spider known as the nursery web spider (Pisaurina mira). The nursery web spider is an effective hunter and the fact does not seem to be lost on the grasshoppers. In the presence of spiders, grasshoppers change up their feeding behavior quite a bit. Instead of feeding on grasses, they switch over to feeding on goldenrod (Solidago rugosa). Although the researchers are not entirely sure why they make this shift, they came up with three possible explanations. First is that the goldenrod is much more structurally complex than the grass and thus offers more places for the grasshopper to hide. Second is that goldenrod fills the grasshoppers stomach in less time thanks to the higher water content of the leaves. This would mean that grasshoppers had more time to watch for predators than they would if they were eating grass. Third is that the feeding behaviors of both arthropods allows the grasshopper to better keep track of where spiders might be lurking. It is very likely that all three hypotheses play a role in this shift. It's the shift in diet itself that has ramifications throughout the entire ecosystem in question. Many goldenrod species are highly competitive when left to their own devices. If left untouched, abandoned fields can quickly become a monoculture of goldenrod. That is where the spiders come in. By causing a behavioral shift in their grasshopper prey, the spiders are having indirect effects on plant diversity in these habitats. Because grasshoppers spend more time feeding on goldenrods in the presence of spiders, they knock back some of the competitive advantages of these plants. The researchers found that when spiders were present, overall plant diversity increased. This is not because the spiders ate more grasshoppers. Instead, it's because the grasshoppers shifted to a diet of goldenrod, which knocked the goldenrod back just enough to allow other plants to establish. It's not just plant diversity that changed either. Spiders also caused an increase in both solar radiation and nitrogen reaching the soils! In knocking back the goldenrod, the habitat became slightly more open and patchy as various plant species of different shapes and sizes gradually established. This allowed more light to reach the soil, thus changing the environment for new seeds to germinate. Also, because goldenrod leaves tend to break down more slowly, they can have significant influences on nutrient cycles within the soil. As a more diverse set of plants establish in these field habitats, the type of leaf litter that falls to the ground changes as well. This resulted in an overall increase in the nitrogen supply to the soil, which also influences plant diversity. In total, the mere presence of spiders was enough to set in motion these top-down ecosystem effects. It's not that spiders eat more grasshoppers, it's that they are changing the behavior of grasshoppers in a way that results in a more diverse plant community overall. This is a radically different narrative than what has been observed with examples such as the reintroduction of wolves to the greater Yellowstone ecosystem yet the conclusions are very much the same. Predators have innumerable ecosystem benefits that we simply can't afford to ignore.